Have you ever bought the perfect stack of fat quarters, only to see that same bundle decorating your shelf two years later? 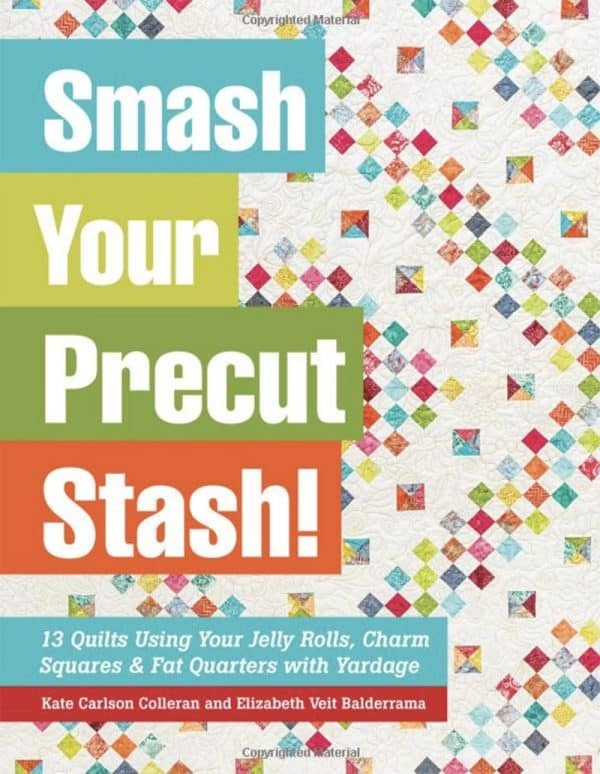 Give stashed fabrics new life with 13 quilt patterns to make the most of your precuts! Authors Kate Carlson Colleran and Elizabeth Veit Balderrama show you the basics of how to quilt from your stash, with a special focus on color, print, and scale. Vibrant and versatile quilt patterns are tailored to precut fabric strips, squares, and fat quarters. Learn how to add additional yardage, mix different fabric lines, and design a stunning quilt from fabric you already have on hand.